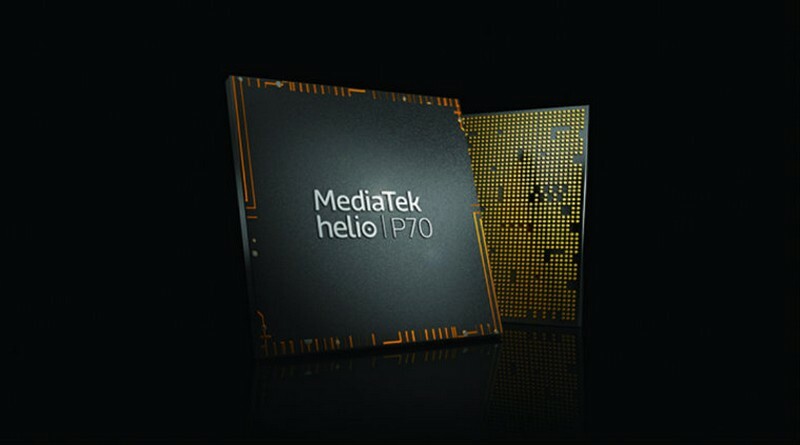 Soon after MediaTek unveiled the Helio P70 SoC, Realme announced that the company will soon launch the world’s first smartphone powered by the new MediaTek SoC. Earlier this month, Realme confirmed that the company’s next smartphone will be the Realme U1 that will have the Helio P70 ticking at its heart. 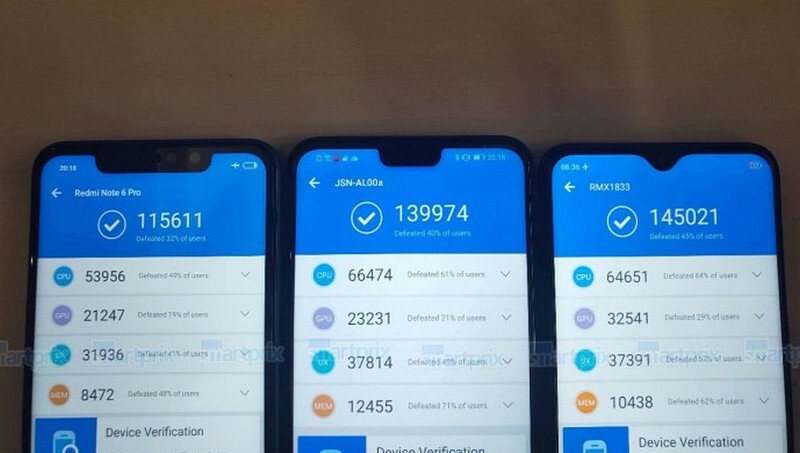 Earlier today, a Realme device claimed to be the Realme U1 was benchmarked alongside the Redmi Note 6 Pro the and Honor 8X, and an image of the three smartphones sitting side by side was also leaked. In the AnTuTu benchmark, the Realme U1 managed to beat the Redmi Note 6 Pro the and Honor 8X with a score of 145,021 points, while the Xiaomi and Honor device lagged behind with 115,611 and 139,974 points respectively. From the benchmark scores, it is clear that the Helio P70 is a better performer than the Kirin 710 powering the Honor 8X and the Snapdragon 636 ticking inside the Redmi Note 6 Pro. Talking about the Realme U1’s design, a promotional poster for the upcoming smartphone makes it abundantly clear that the Realme U1 will sport a dewdrop notch and will be the company’s second device after the Realme 2 Pro to flaunt one. The device was recently spotted in the hands of Realme CEO Madhav Sheth, giving us a glimpse at the Realme U1’s design from the back. The Realme U1 has an uncanny resemblance to the Realme 2 Pro’s rear panel, down to the glossy surface finish, placement of the rear-mounted fingerprint sensor as well as the horizontally stacked dual rear-camera set-up. The Realme U1 shown in the picture has a golden tone to it, which is yet to be seen on a Realme smartphone. The Realme U1 is being marketed as India’s Selfie Pro, which suggests that the device will pack a capable imaging hardware on the front, letting users capture some high-quality selfies. The company, as well as its CEO, have shared a couple of images clicked using the Realme U1 which look quite vibrant, but we’ll have to wait and put it through our camera test to find out how good it actually is. 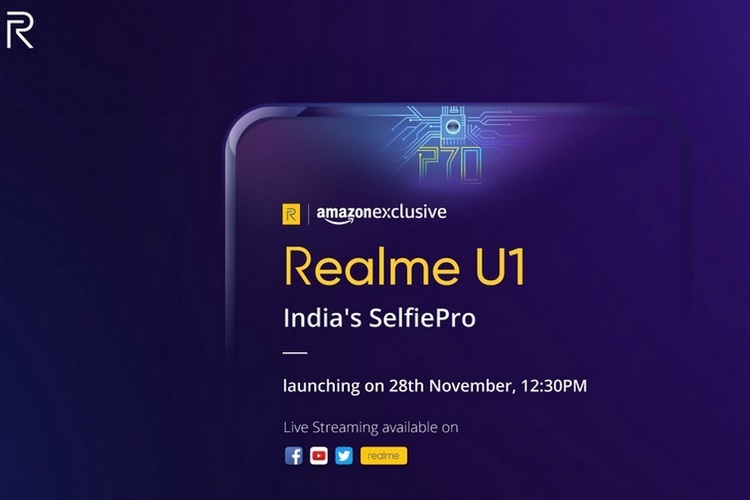 There is no information about the resolution of the Realme U1’s cameras, but a tweet from Realme suggests that the device will come with AI beautification feature onboard that will utilize 296 facial recognition points to enhance selfies. That’s all we know about the Realme U1 at the moment, however, there is no word on the device’s estimated pricing and availability, aside from the fact that it will be an Amazon-exclusive device. The Realme U1’s launch event will kick off at 12:30 PM on November 28 and will also be live-streamed on Facebook, YouTube, Twitter as well as the company’s official website.